The East part of Iceland is often referred to as Iceland's best kept secret for a good reason. Full of breathtaking fjords, cosy fishing villages, strong connection to the Icelandic heritage and endless opportunities for outdoor recreation make this part of Iceland truly unique. 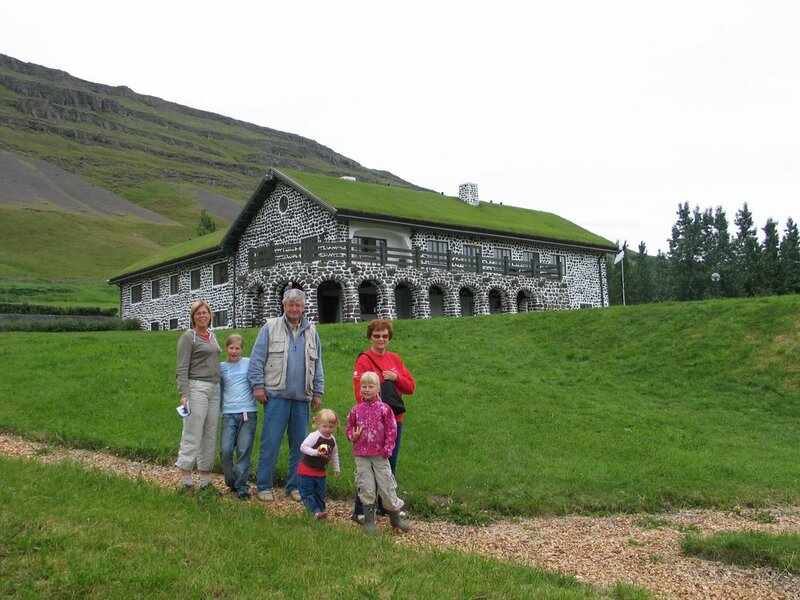 When driving by the northern route towards Egilsstaðir, make sure to visit Sænautasel, a reconstructed turf farmhouse with a fascinating story connected to the last eurption of the Askja volcano. Explore the city of Egilsstaðir and head to the Hengifoss waterfall, surrounded with basaltic formations - is a sight you dont want to miss. Next, drive to the centre of culture and history - Skriðuklaustur Monastery, which is a historical site with the ruins of a 16th century monastery, revealed in an archeaological excavation in the years 2002-2012. Afterwards take a walk in Hallormstaður, which is the largest forest in Iceland and try to spot a reindeer in the surroundings, as East of Iceland is the only place these beautiful animals reside. Venture out to the Eastern fjords. Seyðisfjörður is a great place to visit not only for its spectacular views and a truly cosy atmosphere, but also for its flourishing art and cultural scene. The Borgarfjörður Eystri region is a paradise for bird watchers, where excellent facilities provide an opportunity to spot up to twenty species at once. On your way back to the city, visit Húsey a picturesque place situated between two glacial rivers with access to rich wildlife. Don’t miss stopping by Geirstaðakirkja, which is a beautiful little turf church with its ruins dating back to a thousand years ago. The East of Iceland offers endless hiking opportunities for beginners and the more advanced. It is recommended to dedicate a day to explore these spectacular areas on foot, far into the untouched nature. A trip to the Kárahnjúkar dam as well as Hafrahvamma- and Dimmugljúfur canyons is one such option, but many others can be accommodated with a help of many local guides.